International Products Corporation (IPC) was founded in 1923 and produces and markets two lines of specialty chemical products; precision cleaners, and P-80® temporary assembly lubricants. The company serves an international market with customers in the commercial, industrial, government, and academic sectors. It reaches these markets through a combination of distributors, direct-sales, and internet marketing techniques. 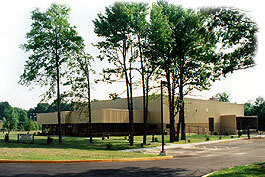 Rapid growth between 1981 and 1989 enabled the company to move from Trenton, New Jersey, to a new custom-designed facility in Burlington, NJ, in 1990. Situated on a four-acre site, this 20,000 square-foot building incorporates manufacturing, marketing, research, processing, packaging, and warehousing; all the key company functions. Extraordinary steps were taken to make this facility safe for employees and the environment, and to assure that the products produced there meet the highest standards of quality. The on-site laboratory performs quality and analytical work, research on new and improved products, and assistance to customers with technical testing. In 1984, IPC opened IPCW, Inc. a subsidiary operating in the United Kingdom. IPCW distributes product for IPC throughout Europe. In addition, IPC has distributors in China, Korea, Japan, Taiwan and India. The full-line of precision cleaning products features IPC’s flagship cleaner, Micro-90® Concentrated Cleaning Solution. The line also includes biodegradable, alkaline, acidic, neutral, and enzyme cleaning products for a broad range of industries and applications. These products are used to clean labware, filter membranes, medical devices, pharmaceutical equipment, electronics, and many other precision parts. All are registered with NSF as A1 cleaners. P-80® Temporary Rubber Lubricants are uniquely formulated products for the assembly of rubber and soft plastic parts (such as belts, bushings, grips, grommets, hoses, o-rings, and seals) for the automotive, agricultural, appliance, aerospace, marine, pump, tool, and other industries. The company is committed to manufacturing products that are water-based and designed to replace solvent and petroleum based cleaners and lubricants. IPC avoids the use of known carcinogens and Specific Target Organ Toxic (STOT) compounds, using materials found on the TSCA and EINECS inventories. In addition, IPC maintains a ZERO discharge policy; this includes wastewater, emissions, and hazardous waste. Plus none of the products are considered toxic or corrosive. It is company policy to keep abreast of environmental regulations, such as the removal of flame-retardants and certain metals (cadmium, mercury, chromium, and lead) in products. IPC is an ISO-Certified Company. All products are Made in the U.S.A.
i would like to know distridutor in Korea.